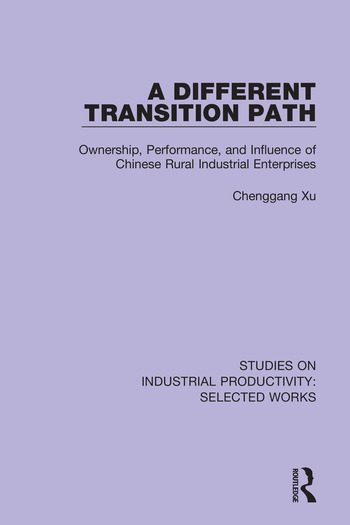 Originally published in 1995 this volume examines and analyzes the factors that have made the township-village enterprise (TVE) such a driver of growth in the Chinese economy in recent years. The book analyzes the background of the TVE and discusses regional differences in TVE efficiency as well as examining the apparent contradiction of the success of the TVE despite the lack of well-defined property rights. Issues of rural-rural and rural-urban migration phenomena are discussed and the differences discussed between the Chinese economy and those of other developing nations.